Do you want to download website and save its webpages on the computer? Often, webpages break when you try to save them for offline reading. In the Google Chrome, you can save webpages in exact original formatting for reading them later without the internet connection. This is possible using Chrome Scrapbook Chrome extension. 1. Open Google Chrome browser and install Chrome Scrapbook extension. 2. 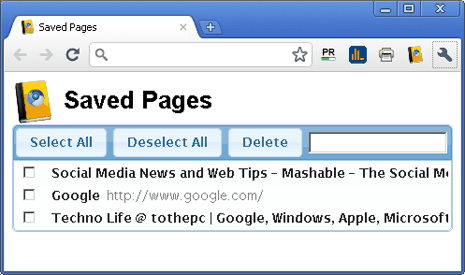 After install, open any webpage in Chrome and click Chrome Scrapbook button on the toolbar. 3. Then click ‘Save this page’ to download and save current webpage locally on your computer. Similarly you can save multiple webpages in Chrome browser. This does not work on protected webpages using https setting. 4. 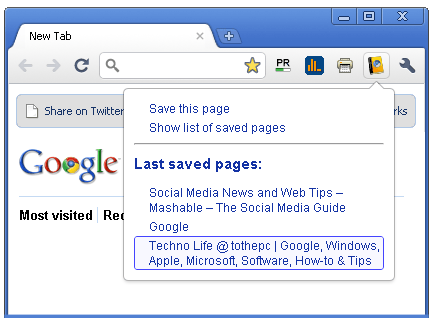 To view all saved webpages click Chrome Scrapbook button and then click ‘show list of saved webpages’. There you can click to view saved webpages or delete them as per requirement. For sure for very easy and neat extension to download webpages in original formatting style. You can browse and read saved webpages offline without need of internet connection anytime comfortably.